If you want highly skilled and comprehensive dental care you can always trust, you are looking in the right place. If you are looking for an experienced dentist in Sandy, Utah, come to Salt Lake Dental Care! 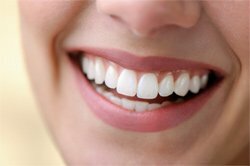 We offer a wide range of dental services to meet your oral health care needs. We love treating all of our patients at Salt Lake Dental Care and strive to foster a friendly and patient-centered culture. Whether your dental needs are cosmetic, restorative, or simply routine, we are here to provide the high-quality service you and your family deserve! Give us a call today to schedule an appointment and learn more about the services we provide to our patients. We are the dentist Sandy, Utah loves! We have years of experience recreating smiles and bolstering self-esteem through our leading-edge cosmetic dental services. We are excited to enhance the appearance and vitality of your teeth with our teeth whitening, Invisalign®, Six Month Smiles®, porcelain veneers, crowns and bridges, dentures, and dental implants. Our practice provides dental implants to replace missing or decayed teeth so that you can resume eating, speaking, and smiling. Dental implants are made of biocompatible material and can be customized to blend with your other teeth. This restorative option can eliminate the imperfections in your smile and boost your oral health. Wisdom teeth are a common source of discomfort and irritation in patients’ mouths. These adult molars are often impacted and push on your teeth as they grow in, creating toothaches and causing your teeth to become crooked. Wisdom teeth extraction can relieve this discomfort and prevent any serious complications such as infection. Comprehensive and advanced dental care is not too far for our patients living in Sandy! 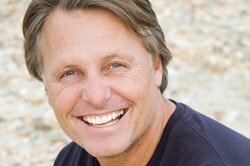 Our Sandy, Utah dentist is waiting to see your smile in person and provide comprehensive care to keep your teeth looking and feeling their best. Call us today and learn more about what Salt Lake Dental Care can do for you!